A third generation homebuilder, Walter W. Keusder, Wes, is the current owner and President of Keusder Homes. Keusder Homes builds homes and apartments in Sacramento and Southern California. During his more than thirty years in the homebuilding industry, Wes has helped build and develop more than 2,000 homes and condominiums as well as building, investing in and managing more than 500 apartments throughout California, Nevada and Texas. Keusder Homes has evolved from the original homebuilding company – Davies, Keusder & Brown – founded by Wes’s grandfather, Walter W. Keusder, Senior. Mr. Keusder, Sr., served as president of the Building Industry Association of Southern California’s preceding organization in 1955 and also served as Chairman for the California Building Industry Association in 1958. Wes’s father, Walter W. Keusder, Jr. (Walt) President of DKB and Keusder Enterprises, DKB’s successor company, also served as president of the BIA of Southern California in 1977 and as Chairman of the California Building Industry Association in 1984. Walt and Wes were both actively involved in another family-owned business, G.J. Payne Company, which resurfaced and repaired thousands of miles of streets and runways in the western United States. Wes has maintained a strong involvement in the Building Industry Association during his career in homebuilding. 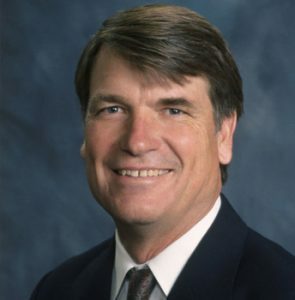 He was the 2007 Chairman of the Board for the California Building Industry Association and previously served as president of the Association’s Riverside Chapter in both 2001 and 2002, in addition to the Southern California Chapter in 2004 and 2011. Presently Wes sits on the Board of Directors of the Building Industry Legal Defense Foundation Board and is Acting Past President of BIA S/C and is a current Life Trustee on the CHF Board of Trustees, joining the Board in 2002. Jewel Keusder, Wes’s mother, was one of the founding members of the CHF (formerly known as CBIF). ​Wes graduated from the University of Southern California in 1975 with a bachelor’s of science degree in business. He rowed on USC’s Crew Team for four years and was co-captain his senior year. He earned a MBA from Pepperdine University in 1982. He lives in San Juan Capistrano with his wife Danusia. Wes and Danusia have two children. Their son Walter Wade is a junior at the University of Southern California School Of Policy and Planning and their daughter, Chloe Jewel is a freshman at the University of Colorado’s School of Communications.